BET Networks kicks off the summer season tomorrow with a hot new docu-series, “DESEAN JACKSON: HOME TEAM” starring the Washington Redskins player as he navigates his life on and off the field. The show features DeSean Jackson in the NFL spotlight as the successful, hardworking professional athlete he is, while also highlighting the importance of his family’s guidance and support. And all eyes, including fans and critics, are on him as he balances the fame and fortune. The show presents Jackson’s success, and the core group of women including his loving yet stern “momager” Gayle Jackson,; his hard-working sister and assistant, A’Dreea Jackson Clay; and, his girl friend, model Kayla Phillips. All encourage DeSean Jackson to stay on a straight path towards continued success on and off the field. DeSean’s mentor and friends also appear in the show as powerful influences; and, with the help of his core circle, we see him overcome obstacles along the way to maintain his positive image. In the premiere episode, DeSean Jackson and his “Home Team” are introduced, showing how DeSean lives life in the “fast lane” as he takes a lead role as a Grand Marshal at the Long Beach Grand Prix. We all see the charismatic, personable side of DeSean Jackson as he happily takes pictures with ecstatic fans and enjoys a day of festivities. Viewers also get to see DeSean Jackson in a less football focused way, but in a more intimate and personal way as DeSean the devoted son, the doting brother and the loyal friend. 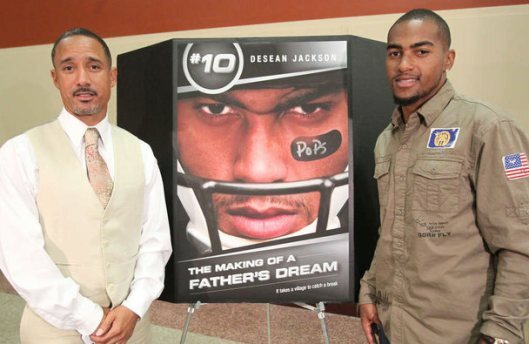 Additionally, viewers will get a first-hand account of the role Jackson’s father played in building his character and his desire for the public to get to know the real DeSean Jackson. “DESEAN JACKSON: HOME TEAM” is produced by ROGUE Atlas Production in association with Lionsgate Television with Executive Producers Eli Frankel, Elise Duran. DeSean Jackson and Byron Jackson also serve as Executive Producers with co-executive producers Ryan Holcomb, Jay Fragus and Lawrence Bell. DeSean Jackson: 3-Time NFL Pro Bowler and star wide receiver, is a Los Angeles native preparing for success on the field and has been in the spotlight his entire life. From being a prodigy at the football powerhouse Long Beach Poly High School, to being the first player in history to be selected to the exclusive PRO BOWL at two different positions in the same year (return specialist and wide receiver), DeSean is making his career one for the record books both on and off the field. In 2008, DeSean was drafted by the NFL Philadelphia Eagles. With an amazing season, he set the record for receiving yards for a rookie at 912, and led the team in receptions with 62. In 2014, he parted ways with the Eagles as he signed and continues to play with the Washington Redskins. DeSean has done it all from commercials to the big screen with his documentary, DeSean Jackson: The Making of a Father’s Dream, to a guest host on THE VIEW and BET’s 106 & Park to the ESPY’s Red Carpet Correspondent for Young Hollywood. There is nothing this young star can’t do. Off the field, DeSean’s passion and ambition to not only build his brand but also give back to the community, has enabled him to create an EMPIRE for himself. With countless magazine features, a unique star power on camera and an undeniable talent in the recording studio, DeSean Jackson is truly the epitome of the modern day Super Star. Couple all of this with his legendary play on the field, it is no doubt that DeSean Jackson will continue to shine and dazzle as an icon and a role model for many years to come. DeSean and his mother, Gayle Jackson, are co-founders, of The DeSean Jackson Foundation, a public charity founded in 2009 in memory of DeSean’s father, William Jackson, who died from Pancreatic Cancer. DeSean is the CEO of the foundation; and, Gayle is the Chairman of the Board, President and Managing Partner of the foundation. Gayle “The Momager” Jackson: Gayle Jackson has worked for more than 45+ years in Corporate America in an array of interesting positions such as 35+ years in the legal industry. Gayle is a graduate of the prestigious Duquesne University, Pittsburgh, PA. Gayle is an activist and social entrepreneur; and, also a 15+ year veteran of the music industry who worked in legal, product development & marketing and A&R departments. Gayle is a force to be reckoned with and oversees DeSean’s business interests, brand and public image; and. 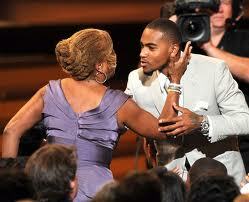 advises DeSean in all personal and professional matters. She is very involved in every aspect of DeSean’s life and wants him to live a positive and fulfilling life. That means #1 – a satisfying career in the NFL and to leave a long-lasting legacy for his future children. Gayle is the matriarch of the Jackson family and its extended family members. She also is very active in the National Football Players’ Mothers Association and serves as the well known and highly regarded, “Mama Gee” representing players and their families on the East and West Coasts. Gayle is also a member of the Women of Washington (a/k/a WOW), the official Washington Redskins’ female fan club, 100,000+ strong, the largest female fan club in the NFL, headed by Mrs. Dan Snyder, which engages fans and the community to address social issues that impact the lives of vulnerable youth and families in DMV. A’Dreea “The A-sis-tant” Jackson Clay: Older sister, A’Dreea, is his assistant – but also helps Gayle manage DeSean’s brand, image and business affairs; and, mentors DeSean on career and life experiences. A’Dreea assists DeSean with his finances and serves as a DeSean Jackson Foundation board member. She joins Gayle in making sure DeSean stays on the right path and not allowing his wealth and new independence take him down the wrong path in life. A’Dreea has two children – Jaiden & Kameron – 7 & 9 years old – and is a strong, independent, accomplished woman who is extremely comfortable ‘living in her sibling’s shadow’ while supporting him and loving him unconditionally. Byron Jackson: Byron Jackson’s passion for film making and football go hand in hand. The talented wide receiver earned his Bachelor of Arts degree in Radio, Television & Film in 1993 from San Jose State University. Upon graduation, his great play led him to sign an NFL contract with the Kansas City Chiefs. He also played in the Canadian Football League before ending his career in the World League of American Football. While playing professional football, Jackson devoted much of his free time to training his younger brother DeSean, who also had a passion for the sport. It was during this time that Byron began shooting the documentary that would chronicle his brother’s rise to the NFL. After retiring from professional football, Byron turned to local news television. He spent many years as a sports producer for KCOP Channel 13 (now UPN channel 13) in Los Angeles, CA, acquiring a love for sharing athletes’ stories through imagery. Byron moved on to Fox Sports Net where he has held an editing position for the past 18 years. In an effort to expand his vision of intermixing sports and media, he co-founded Digital Command Post, a full-service state of the art post-production facility located in Beverly Hills, California. His entrepreneurial spirit continued to soar in 2009 when he founded SportsRhythms, LLC, a multi-media sports developmental company. 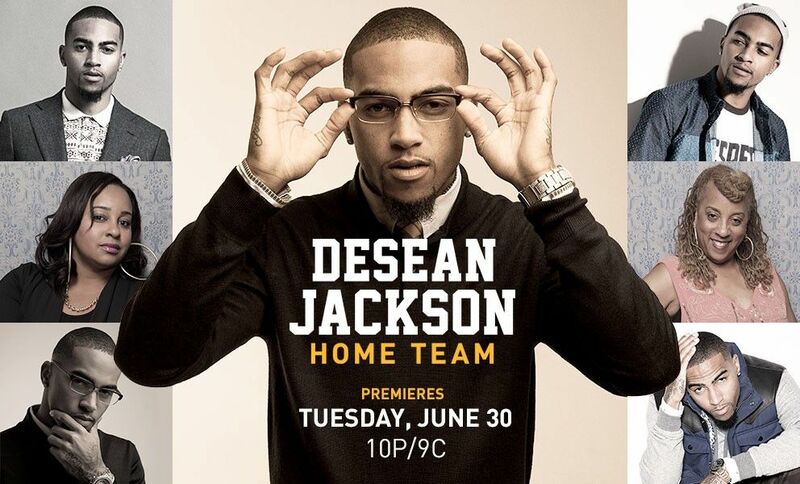 For video sneak peeks and first looks of “DeSean Jackson: Home Team” visit the official pages at http://www.bet.com/shows/desean-jackson-home-team.html. BET Networks, a subsidiary of Viacom Inc. (VIA, VIAB), is the nation’s leading provider of quality entertainment, music, news and public affairs television programming for the African-American audience. The primary BET channel reaches more than 90 million households and can be seen in the United States, Canada, the Caribbean, the United KINGDOM and sub-Saharan Africa. BET is the dominant African-American consumer brand with a diverse group of business extensions: BET.com, a leading Internet destination for Black entertainment, music, culture, and news; CENTRIC, a 24-hour entertainment network targeting the 25- to 54-year-old African-American audience; BET Digital Networks – BET Gospel and BET Hip Hop, attractive alternatives for cutting-edge entertainment tastes; BET Home Entertainment, a collection of BET-branded offerings for the home environment including DVDs and video-on-demand; BET Event Productions, a full-scale event management and production company with festivals and live events spanning the globe; BET Mobile, which provides ringtones, games and video content for wireless devices; and BET International, which operates BET in the United KINGDOM and oversees the extension of BET network programming for global distribution.